Welcome to PO-TEET-SAH Italian Bakery! Say it with us … Poh-Teet-Sah! The Italian Bakery began in 1965 with a traditional Slovenian family recipe for authentic Eastern European Potica. The family owned and operated Italian pastry shop in Virginia, Minnesota has continued to grow over the course of several decades, gaining a following of devoted customers. Today, our customers keep coming back for a taste of our world-famous potica, our Italian fruit cake, our crisp, crunchy biscotti, and a variety of other delectable pastries. Many decades ago, young women from the Prebonich family immigrated to the United States from Italy and Slovenia bringing not only their dreams but their recipes as well. While we’ve based our famous homemade potica bread recipe and other classic pastries on their traditional creations, we’ve also added in our own tastes over the years to create a uniquely blended delicacy. The Italian Bakery in Virginia, Minnesota, takes the time and care to make sure that each batch of our potica comes out just right. Decades ago, potica bread was reserved as a treat on special occasions, especially with the amount of preparation that was needed to make such a spectacular-tasting pastry. However, we make potica all year long, giving generations of people the opportunity to grow up enjoying potica bread year round, regardless of their geographical location! The family recipe that we use at the Italian Bakery of Virginia has been passed down through generations to create an “Old World” delight your whole family will enjoy. In the early 20th century, Mary Janezich shared her potica recipe with her son-in-law, Geno, when he opened his bakery in Virginia, Minnesota. Slovenian immigrants in the area flocked to Geno’s bakery hoping to get a taste of home! Geno eventually sold his bakery which became the Italian Bakery of Virginia and the new owners, the Prebonich family, kept on making potica using that same traditional recipe. It was, and still is one of our most popular menu items! We honor Mary’s original recipe today using the most wholesome, all-natural ingredients and freshest spices. We have refined the traditional recipe, perfecting the art of potica making. Making potica is a time-intensive endeavor and our expert bakers take no shortcuts, making all of our potica by hand in our Italian pastry shop. We begin by combining premium ingredients, including creamy butter, farm-fresh milk and eggs, and the finest flour and sugar in order to create a soft, sweet pastry dough. We spread the dough out on a large table and carefully hand-roll, pull, and stretch the dough to create the perfect consistency. We layer our potica dough with an earthy brown sugar, aromatic vanilla, and a special blend of spices. Coating each layer of the dough with sweet filling, we roll the potica into a spiral and bake it to golden-brown perfection. We even offer flavored walnut and walnut raisin potica varieties, adding a new taste of sweetness and variety to a timeless treat. 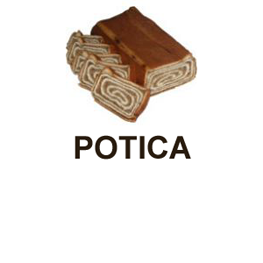 Thanks to the Italian Bakery of Virginia’s year-round supply, potica can serve as a great dessert for a special celebration or just to enjoy as an everyday snack. Potica tastes great served warm, chilled, or just at room temperature. Make a potica sandwich with ham, cheese, or both. Get creative and try different kinds of meats and cheeses for a quick and delicious lunch on-the-go, delicious hot or cold. For a sweet breakfast treat the whole family will love, spread fresh butter on a piece of potica, sprinkle it with cinnamon and top it with honey. Warm it up and enjoy! Topped with ice cream, potica can make for a decadent dessert. Not in Minnesota but hoping to try potica? Not a problem! The Italian Bakery of Virginia makes potica for pastry-lovers all around the world. Whether where you live in the U.S. or abroad, we can ship it to you from our Italian pastry shop. Whether you’re looking for some potica to brighten up your holiday season or you simply want to celebrate a special occasion, we guarantee that our potica will arrive just as fresh as when it was first baked. Although we pride ourselves on our potica, it’s important to note that the Italian Bakery of Virginia also offers up other great pastries. 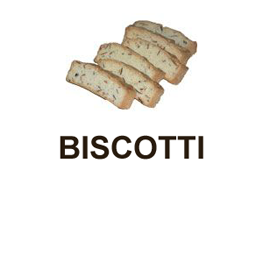 Looking for scrumptious biscotti to pair with your morning coffee? Try our crisp and crunchy creation, baked twice with a blend of almonds, pistachios, and chocolate chips. We also offer Italian fruit cake, available in a large size for parties or a smaller size for an intimate family gathering. 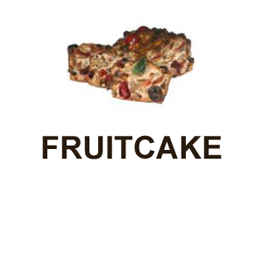 Our fruit cake is filled with bold tastes derived from a blend of fruits, nuts, and a twinge of liquor that gives it an incredible and distinctive flavor. Ready to order one of our featured products? Use our online order form for to ship to anywhere in the United States. 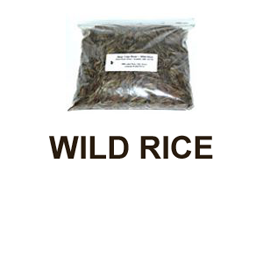 For global orders, call us at 855-522-5379. You can also email us at orders@potica.com and we’ll get back to you as soon as possible. At the Italian Bakery of Virginia, we’ve ensured that the time-honored art of making potica has not been lost. Let us supply your family with the tastiest traditional dessert you’ve ever tasted, including potica, fruit cake, and biscotti, and get a taste of what generations of pastry enthusiasts have been enjoying for decades.
" PO - TEET - SAH "